A K J Waste & Recycling - Rubbish/Waste/Clearance based in Ewell, Surrey. For waste collection and recycling services in Surrey and South London then look no further than AKJ Waste and Recycling. We believe it is essential to send as little waste collected in Surrey and London to landfill as possible. AKJ Waste Collection and Recycling provide an environmentally friendly and efficient waste disposal service to customers. Our recycling service in Surrey enables us to recycle much of the waste we collect. This enables us to reduce our costs dramatically and our prices to our clients as low as possible. Please call for a free no obligation quote, Once agreed a member of our team will arrive at a time convenient to you and clear your waste. 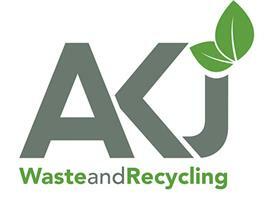 Please contact us here at AKJ Waste and Recycling for all of your Waste Solutions.